Babies don’t stay little for long. For someone so tiny they can grow and change ever so fast and we can soon lose those memories of when they were so small they could fit in our hands. Those tiny toes and chubby cheeks melt away to reveal beaming smiles and developing little characters. As your chosen baby photographer I will work with you to capture some incredible images and touching moments as I photograph your bond in something you will truly treasure for years to come. Portrait photography has the magical ability to pause time so whilst moments like these will come and go, your photos will last longer than a lifetime. Your baby photoshoot will take place in more homely of the two photography studios. Simple and cosy, the Baby Suite has all you need when it comes to young babies. A comfy sofa provides homely and relaxed seating area and somewhere of ‘unposed’ family lifestyle images also. Multiple heaters allow me to keep the room super warm for all those exposed limbs. Directly outside the room, is a large changing room for your use, and a separate kitchen area for hot/cold drinks and snacks. Parking is directly in front of the unit for your convenience. 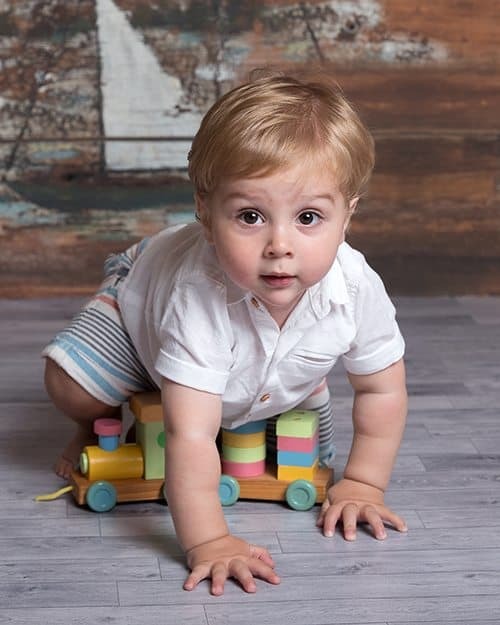 Tell me about your ideas of the type of baby photos you want to leave Enchanted Photography with and the colours you like so I can make your dreams become reality during your photoshoot. I will share my 8+ years experience of photographing babies and let you know what you might need to bring from their favourite toy to a change of clothes. Babies grow and change so much before our eyes. It is amazing to witness and I feel privileged to be able to help you document key moments from an early smile to their first crawls. Feel relaxed in the homely lounge-style photo studio, a nice warm room with soft lighting, as I capture a series of natural photos of your baby to mark your baby’s developments stages. A selection of high quality props, fabrics and backgrounds styled to your home decor will be used for added charm. I always encourage siblings and parents to get involved for some family photos that are always gratefully received by grandparents, and landmark memories for you when your baby has grown. One week after your photoshoot, you will be welcomed back to the photo studio. Take a well earned rest in the studio’s viewing room and relax into one of my big leather sofas in front of the fireplace to see the gorgeous images I took at your photo session. We will take our time, first viewing a slideshow of the best images, then going through each one together so you can choose your favourites that will make you smile every day when you see it in your home. A wide range of high quality products are available to purchase as well as digital files, after all you don’t want photos that fade faster than your memories. To book a session there is a booking cost relevant to your preferred session type. Extended photo shoot time for babies who might need a little extra time to get used to new surroundings or if there are multiple/young siblings. Gemma is excellent to work with, and her work is always second to none. The quality of the images are outstanding, and taken in a nice setting too. A baby can sometimes have more bags than the families they come with, but within my photo studio you will feel at home with room to unpack and relax with a full height changing table to hand for quick fixes and outfit changes. A separately kitchen area/foyer provides additional space for siblings to stretch out and a place to help yourselves to hot/cold drinks and snacks. With more than 8 years of experience and many hundreds of photoshoots all sessions remain baby led. Babies deserve uttermost respect to be treated with care when being handled. 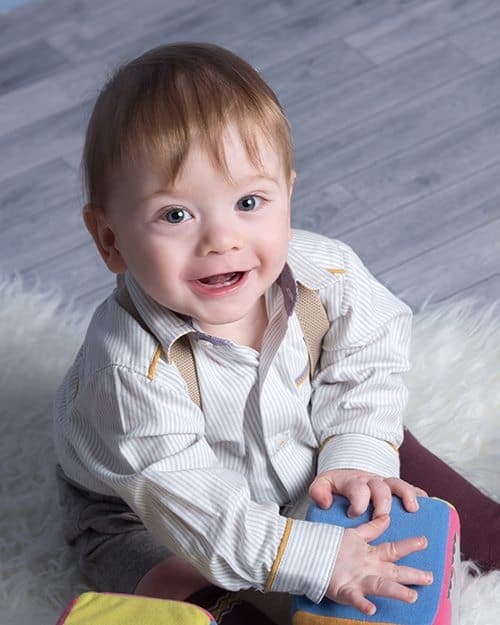 Trained to a high standard in Baby Safety, I use a wealth of experience to maintain your baby’s comfort and safety throughout their photoshoot. We know how excited some parents are to see the results of their baby’s photoshoot and to share them with friends and family. Your images will be available for you to view just one week after your baby photoshoot, with your chosen digital images taking just ten days to be emailed to you in their high resolution, fully polished form. I understand you will want high quality digital copies of your favourite images to share with your friends and family so these are included as standard with the entry prices. As new parents you’ll no doubt also want your favourite photos to put up in your home so I also offer a wide range of high quality printed products for your home. Baby photoshoots can be booked as a one off photo shoot or as a baby club where you can record three special landmark stages of your baby’s life – tummy time/sitting, 1st birthday and finally those first steps.